Whenever undertaking a trip overseas, we always want it to be as smooth running as possible. Many of the things that often go wrong for travellers can be prevented or made less stressful by taking a few simple precautions. Oyster Worldwide is part of the Know Before You Go Campaign, a government initiative which is part of the FCO Travel Advice plan, which promotes the necessity of good preparation before going overseas. Oyster works hard to ensure that all of your preparation is thoroughly done before you go, adhering to the recommendations put in place by the Foreign Commonwealth Office. Caroline Briggs, of the Know Before You Go Campaign, has written a few helpful hints and tips for those of you going overseas- many more can be found at the FCO website, offering straightforward travel advice, top tips and up to date country information to help you plan your time overseas. Make sure you have valid travel insurance, even if you’re only planning a short trip. Oyster recommends a great policy, specifically designed to cover all the projects that we run. Check what vaccinations you need by visiting www.fitfortravel.nhs.uk, your travel health clinic or GP at least 6 weeks before you travel. Read up on your destination, local laws and customs. 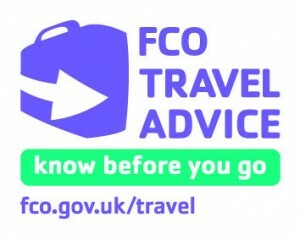 Check the FCO travel advice pages or sign up for email alerts for the latest information. Tell family and friends where you are going and leave them your contact details, insurance policy details and your itinerary and/or store them online using a secure date storage. Make sure you have enough money to cover emergencies. If you are travelling within the European Economic Area, get a European Health Insurance Card for free or reduced emergency care – you still need full travel insurance though! Remember you can call 112 for emergency services in any EU country. Check your passport and requirements for the country you are visiting if you are planning on travelling after undertaking your project with Oyster. Thank you very much to Caroline from the Know Before You Go Campaign.